Getting involved with student activities offers the opportunity to make lasting memories and forge lifelong friendships. Robert Morris University offers over 130 student clubs and organizations. Each student has a unique experience at RMU, and the wide variety of offerings ensures there is a place for you to get involved. 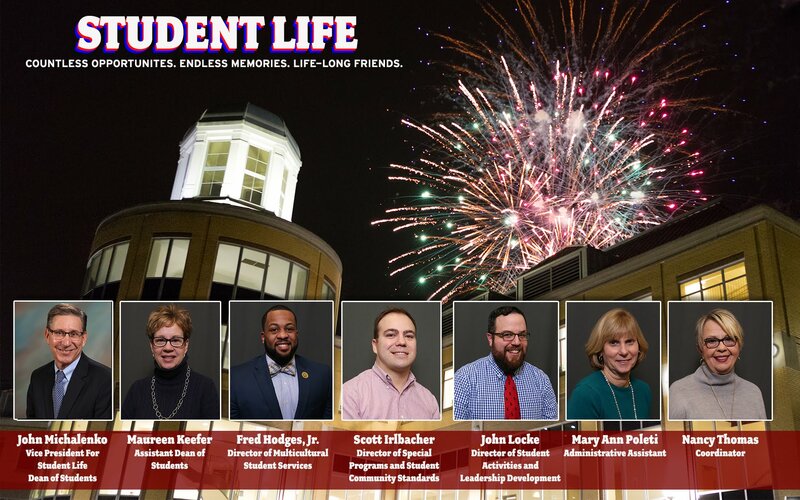 Mission Statement: The Division of Student Life is a student-centered organization that engages all university constituencies in developing a strong campus life program to support enhanced student enrollment, student retention, career development, and the academic mission of the university. Focusing on the university's six Core Values, Student Life is responsible for the design, execution and substantiation of models and services that provide a transformative experience for all students. The Division will become known as a learning-oriented leader committed to providing life-enriching opportunities that prepares students to be professionally successful and involved citizens. To carry out its mission, Student Life shall use systemic inquiry to improve student and institutional performance, use resources effectively to achieve institutional goals, and forge educational partnerships that achieve academic excellence. 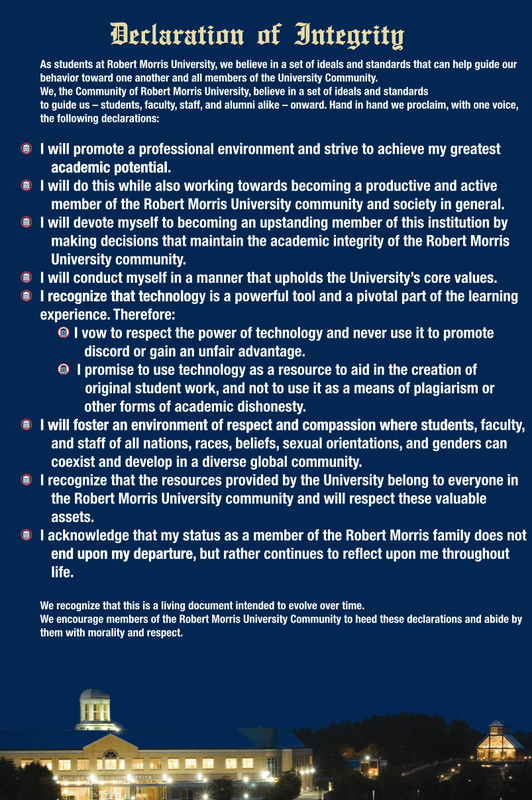 The Division of Student Life supports RMU's academic mission and embraces our six core values: Academic Excellence, Changing Lives, Active Learning, Individuals Matter, Professional Focus and Global Perspective. Students are encouraged to take advantage of the services, programs, and resources we provide in order to assist them with their personal, academic and professional goals.